Humans can accumulate and maintain the knowledge learned from previous tasks and use it seamlessly in learning new tasks and solving new problems — learning new concepts over time is a core characteristic of human learning. Therefore, it is desirable to have a computer vision system that can learn incrementally about new classes when training data for them becomes available, as this is a necessary step towards the ultimate goal of building real intelligent machines that learn like humans. Despite the recent success of deep learning in computer vision for a broad range of tasks, classical training paradigm of deep models is ill-equipped for incremental learning (IL). 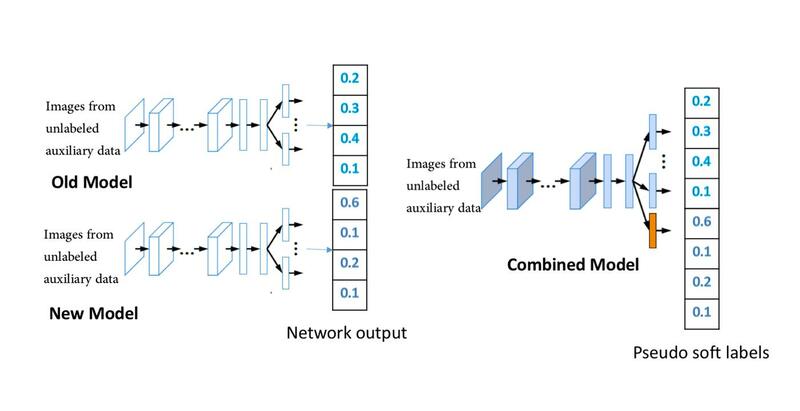 Most deep neural networks can only be trained in batch mode in which the complete dataset is given and all classes are known prior to training. However, the real world is dynamic and new categories of interest can emerge over time. Re-training a model from scratch whenever a new class is encountered is prohibitively expensive due to the huge data storage requirements and computational cost. Directly fine-tuning the existing model on only the data of new classes using stochastic gradient descent (SGD) optimization is not a better approach either, as this might lead to the notorious catastrophic forgetting effect, which refers to the severe performance degradation on old tasks. Existing IL approaches attempting to overcome catastrophic forgetting tend to produce a model that is biased towards either the old classes or new classes, unless with the help of exemplars of the old data. To address this issue, we propose a class-incremental learning paradigm called Deep Model Consolidation (DMC), which works well even when the original training data is not available. The idea is to train a model on the new data, and then combine the two individual models trained on data of two distinct set of classes (old classes and new classes) via a novel dual distillation training objective. The two existing models are consolidated by exploiting publicly available unlabeled auxiliary data. This overcomes the potential difficulties due to unavailability of original training data. Compared to the state-of-the-art techniques, DMC demonstrates significantly better performance in CIFAR-100 image classification and PASCAL VOC 2007 object detection benchmarks in the IL setting.